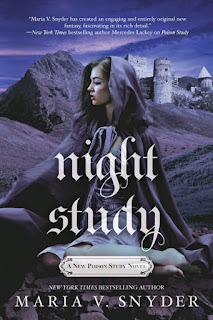 NIGHT STUDY COVER ART and Giveaway! The US cover for NIGHT STUDY has arrived! I'm loving the colors and background. What do you think? To celebrate this exclusive first peek, I'm giving away FOUR early copies of NIGHT STUDY!! Go to the bottom of this post to enter. It's open to ALL and will be open until August 14, 2015. Summer YA Book Party Giveaway! Today I'm participating in Michelle Madow's Summer YA Book Party over on Facebook. I needed someplace for my giveaway so thought I'd dust off the old blog. I'll be answering questions and posting cool stuff about my books and maybe a sneak peek of Night Study over on Facebook from 5 pm to 6 pm Eastern time on July 22 2015. Please stop on by and ask me anything. I'm also going to be giving away a copy of the Japanese edition of Poison Study over on the Facebook party page during that hour. Its being released in Japan today! The prize is ALL 4 Study eBooks! Yup - you'll get the eBook of Poison Study, Magic Study, Fire Study and Shadow Study! Please stop over on my Author page and like it! 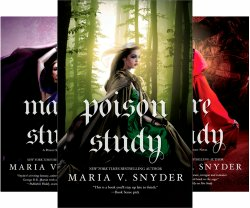 I'm trying to get 10,000 likes by October to celebrate Poison Study's 10th anniversary!